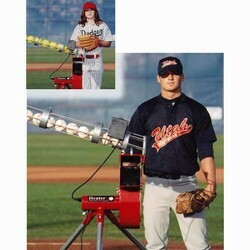 The Heater Combo Baseball Softball Pitching Machine. The Heater Combo is also available with an Optional Automatic Ball Feeder that will hold either (12) real baseballs or machine balls or (9) 11" or 12" softballs, delivering a ball ever 12 seconds. 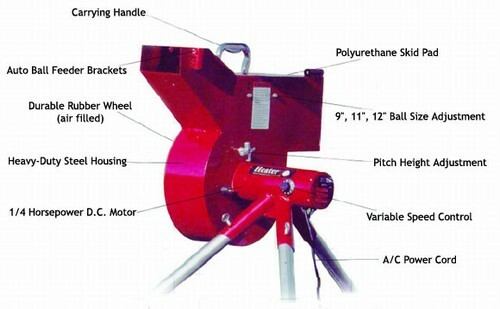 The Automatic Feeder is easily installed or removed. Using an air filled tire gurantees the maximum in accuracy and performance in addition to reducing wear on the balls. 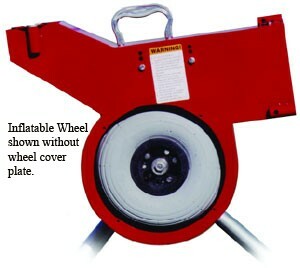 The tire is easily accessed by simply removing the face plate of the machine. 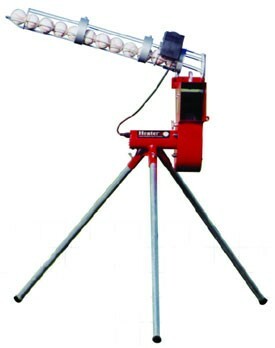 Optional Autofeeder: Baseball (holds 12 Baseballs),Softball (holds 9 Softballs). CLICK HERE FOR A BATTING CAGE FOR THE COMBO!! Dimensions - 25" x 21¼" x 17¾"